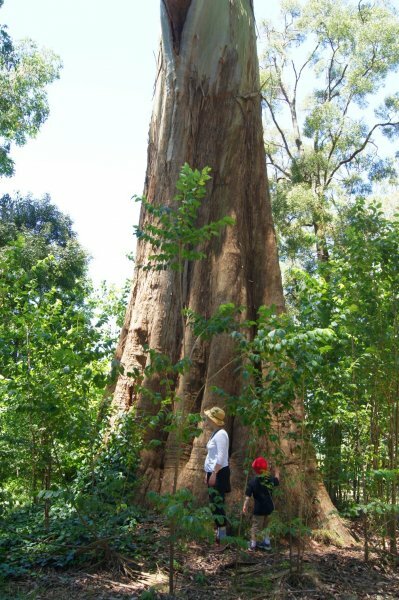 'This tree height was measured in 1968 and was 71.90m. Canopy shown is average. In 1968 the Wahine storm gale damaged the crown. 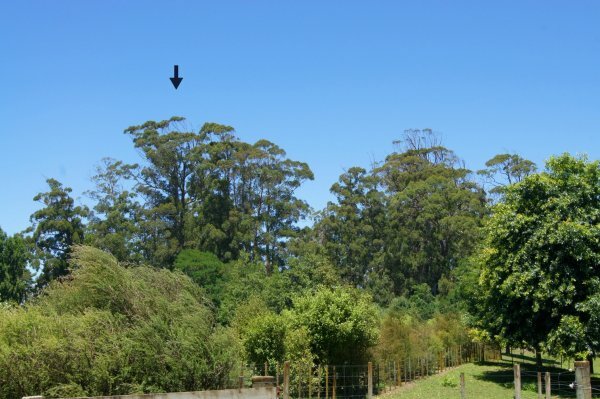 A further height measurement was in 1969 and showed the tree to be 68.50m. 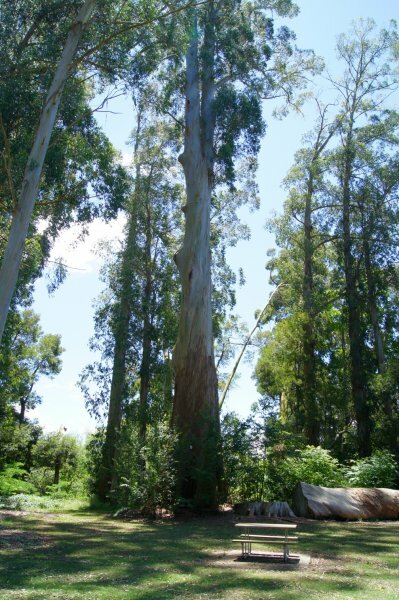 For many years the tree was considered as the tallest tree of any species in NZ although a 77 m tree was recorded in Dunedin. 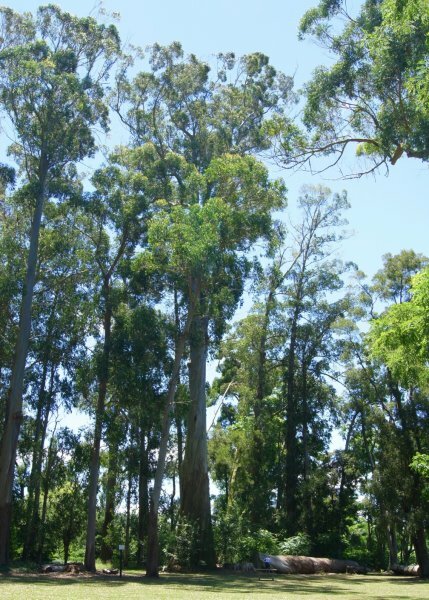 It was recorded in 1887 by Captain Runciman that over 50,000 trees were planted in Marshmeadows Newstead. It is also recorded in 'Great Trees of NZ' by Burstall and Sale pub 1984 Reed'. Woolford, 1999. (See NZNTT files for Runciman and later Scott Family History). 07 Apr 2012 Smillie, M.J.
01 Jan 1999 Woolford, W.G. Part of the Newstead Walkway. This is signposted from both Morrinsville Road (SH26) and Vaile Rd. It is about 10 minutes walk from Vaile Rd, 15 from SH26.